This is a book I just purchased, fresh out of the wrapper, OK, well not so fresh, but out of the wrapper nonetheless. I've been checking the mailbox everyday for about three weeks waiting for it (The Canadian mail seems to be slow). Of course, I broke the fragile binding of this 1945 book in under a minute. 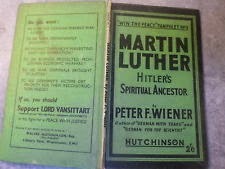 The book is (to my knowledge) the only detailed response to Peter F. Wiener's Martin Luther: Hitler's Spiritual Ancestor. I look forward to posting sections of it. Was "Alone" alone previous to the 16th Century? "In 3:28 Luther introduced an adverb not found in the Greek ('only through faith' or 'through faith alone'); the vocabulary of sola fides had existed in the Latin church writers before Luther, but his addition in Rom heightened the theological contrast with James 2:24: 'A person is justified by deeds/works, not by faith alone.' "- Raymond E. Brown, An Introduction to The New Testament (New York: Doubleday, 1997) p.567, footnote 22. Siemon-Netto, Uwe, The Fabricated Luther: Refuting Nazi Connections and other Modern Myths, 2007, Second Edition. Saint Louis: Concordia Publishing House. Review by Karla Poewe, Department of Anthropology, University of Calgary,Calgary, Alberta. In a world ripe with propaganda it is refreshing to find a book dissecting a cliché that was used for just such purposes by people as far apart as Josef Goebbels and Alan Dershowitz, namely, that Luther was the “spiritual predecessor of Adolf Hitler” (p. 23). Siemon-Netto’s book traces the origin of the cliché that “linked Luther to Hitler“ back to the liberal theologian Troeltsch who passed it on to the writer Thomas Mann who, in turn, shared it with the author of The Rise and Fall of the Third Reich William L. Shirer (p.24). From there it was picked up by the Germanophobic propagandist Lord Vansittart as well as by archbishops and priests of the Church of England. It was also popular among America’s Union Theological Seminary faculty in the early thirties and is used by U.S. historians like Robert Michael and Lucy Dawidowicz, among many others, today (p. 23). In fact, those who were primarily responsible for the Holocaust and generally for the brutality on the Eastern Front of World War II were men who had not only left Christianity but were intent on destroying the entire Judeo-Christian tradition because it was unGerman. To show the ludicrous nature of the cliché that blamed the Holocaust on the line of descent from the Protestant Luther, Siemon-Netto points out that many perpetrators were born into homes and countries (Austria and Poland, for example) that were formerly or nominally Roman Catholic. He raises this point only, however, to emphasize “the absurdity of the charge that one Christian denomination’s theology paved the way for genocide“ (p. 66). Holocausts were also perpetrated by Turkish Muslims, Orthodox Russians, and Cambodian Buddhists, yet these religions are not linked with their crimes (p.66). At issue is rather the thing that Luther warned against with his “two realms“ doctrine, namely, the danger that comes with blurring state and church or politics and religion. When blurring occurs secular “isms“ are quick to follow. Politicized Christianity, like that of the German Christians, for example, was easily absorbed by the political religion of National Socialism (pp. 74-76). By contrast, Luther’s two realms doctrine “de-ideologizes politics” and “de-idolizes” the state (p.77). Far from confirming a line from Luther to Hitler, Siemon-Netto shows the role that Lutheranism played in the resistance against the Hitler regime. The author is particularly strong in his analysis of Dietrich Bonhoeffer and Carl Goerdeler. Bonhoeffer understood “two realms” to refer to the fact that Lutherans live before God and with God in a world without God, that is, in a secular world. He could therefore easily co-operate with secular conspirators to kill Hitler. Bonhoeffer also accepted the teaching “that all who take up the sword will perish by the sword.” He knew it to refer to him and his circle. It is in this spirit too that he could say “I pray for the defeat of my country, for I think this is the only possibility of paying for all the suffering that my country has caused in the world” (p. 101). According to Siemon-Netto, Goerdeler, the mayor of Leipzig who was executed by the Nazis, was rooted in nineteenth-century Protestant liberalism (p. 111) but he internalized the “ethos and attitude” of Lutheranism (p. 112). As his daughter Marianne Meyer-Krahmer confirmed when Siemon-Netto interviewed her, Goerdeler warned all and sundry against the danger of Hitler. Her father valued and stood up for Leipzig’s Jewish heritage and citizens and saw as clearly as his other close Lutheran colleagues in the resistance that Hitler was determined to destroy three enemies: the Jews first, then the Christians, and finally capitalism (p. 106, 116). It is a sad chapter in human history that brave men like Goerdeler too were defeated by men who could not understand his subtle Lutheran distinctions and the necessity of thinking on two levels. Goerdeler’s sense, on the one hand, that a moral catastrophe had befallen Germany that would be a danger to the world and his political point, on the other, that National Socialism was largely the result of the injustice of Versailles was seen as deception by Vansittart (p. 145). In response, Vansittart soon used a race-based “militarism” cliché that fired the hate of the British for a war that could possibly have been averted in 1938 had Goerdeler’s plan of action been debated in British parliament (p. 120, 126, 130). Instead, revenge against and punishment of the Germans lasted until 1949 and beyond (p. 136, 142), and it came from the top: the Roosevelts (p. 134-139), Vansittart (p.126), Churchill (p.128), and the British Bomber Command (p.129). doctrine of salvation” (p.161). With precisely this knowledge, the churches opened their doors to the secular world, Christians listened to their secular compatriots, and together they started candlelight marches that attracted overwhelming numbers of people. Perhaps because Siemon-Netto is both a journalist and a theologian, he has produced a unique book that shows theology affect politics and indeed bring down a state without, as Lutherans are so careful to emphasize, mixing religion and politics into an unwholesome brew. Montgomery’s book (1970) was an earlier attempt to defend Martin Luther. But when he briefly visited East Germany it was still frozen in totalitarianism. Montgomery, therefore, cleared the political rubbish from Luther’s core beliefs about salvation and the two realms dogma and like Siemon-Netto also shows how a person whose heart is imbued with the Gospel uses his reason in the secular world to keep human beings from destroying themselves (Montgomery 1970: 138). Another book that complements Siemon-Netto’s effort to make explicit the meaning of the two kingdoms in a world gone awry is that of Rasmussen (2005) about Dietrich Bonhoeffer. Rasmussen shows the development of Bonhoeffer’s theology in relationship to the resistance against Hitler’s national socialist system. To Bonhoeffer, the two realms became also the inevitable condition of having to live at two levels: appearing to be with the government while actively working to bring it down. Bonhoeffer’s thinking about living with God and before God but in a secular world where he had to work with communists and military men to assassinate a tyrant, was no longer as sharply dichotomous as Siemon-Netto’s insistence on the absolute distinction between the two realms. But even Siemon-Netto’s concern not to brew politics and religion together received a peculiar twist in the situation of the demise of East German communism. The people who were selected to be the negotiators for unification were precisely “servants of the spiritual realm,” so that pastors became government ministers, members of parliament at all levels, county executives, and mayors. They stepped into the worldly realm because it lacked personalities that were untarnished by the previous government and yet capable of maintaining the secular order during a time of transition (Siemon-Netto 2007: 155). exiles from France. Gorbachev, who met Pope John Paul II in 1989, has confessed openly that he is Christian. For anyone who wants to understand the relevance of Luther’s two realms belief in recent history, The Fabricated Luther deserves a place on your shelf. Indeed, I know of no other book that combines so naturally and effectively theology and Realpolitik, without politicizing the former or sacralizing the latter. Finally, the book has the virtue of being easy to read. Montgomery, John Warwick 1970 In Defense of Martin Luther. Milwaukee, Wisconsin: Northwestern Publishing House. Rasmussen, Larry L. 2005 Dietrich Bonhoeffer: Reality and Resistance, 2005, Louisville, Kentucky: Westminster John Knox Press. 4) Giving in to Rome, because Rome will never give anything in an ecumenical dialogue. Of course, all that goes by the name "Reformed" isn't necessarily so, some of the larger bodies of the "Reformed" are liberal enough to give away the store. WASHINGTON—The seventh round of the Reformed-Catholic Dialogue continued its discussion on the Eucharist during its February 10-13 meeting at Fuller Theological Seminary in Pasadena, California. Participants presented drafts of a document addressing the following five areas: Action of the Holy Spirit in relation to the Eucharist; Remembrance in the Eucharist; Presence of Christ in the Eucharist; Eucharist as sacrifice and offering; and Discipleship in relation to the Eucharist. Reformed co-chair, Rev. Richard Mouw of Fuller Theological Seminary, noted that the doctrine of the Church (ecclesiology) "looms large in any discussion of Eucharist" and can help Catholics and Reformed Christians clarify their positions and avoid polemical statements. Rev. John Riggs, a United Church of Christ theologian, said "the original Reformed tradition wanted Eucharist to be a means of grace by which the union among believers in Christ is enacted" and so the manner of Christ's presence in the bread and wine was of subordinate concern. Today, Reformed Christians are more willing than were previous generations to affirm that they encounter the presence of Christ in a distinctive way in the Eucharist. However, Reformed Christians refrain from the language of offering the Eucharist as a sacrifice to the Father and do not localize Christ's presence to the elements of bread and wine, in contrast to Catholic practice. Significantly, the dialogue continued to explore the ways in which contemporary forms of Eucharistic worship open up new avenues of mutual understanding between Catholic and Reformed Christians. Progress on the design of a common document on the Eucharist focused on insuring that both convergences and divergences are understandable to potential readers. Two working group meetings are planned for the Fall of 2009 and the Spring of 2010. A common text will be approved by all participants by e-mail and discussed at the final meeting of the Round in the Fall of 2010, with the hope that it will be accepted as a document representative of this concluding phase of the Seventh Round of dialogue. Catholic dialogue participants included Bishop Patrick R. Cooney of Gaylord, Michigan, co-chair, Ralph Del Colle, Ph.D., Missionary of the Precious Blood Joyce A. Zimmerman, Franciscan Father Dennis E. Tamburello, Father Dennis McManus, Capuchin Father Thomas Weinandy, Father Francis V. Tiso, and Father James Massa. Reformed Church in America participants included Rev. Renee House and Rev. John Paarlberg. Christian Reformed Church participants included Sue Rozeboom and Rev. Dr. Lyle Bierma and Rev. Dr. Ronald Feenstra. Presbyterian Church USA participants included Rev. Dr. Mouw (co-chair), Rev. Dr. Martha Moore-Keish and Rev. Robina Winbush. United Church of Christ participants included Rev. Dr. Sidney D. Fowler and Rev. Dr. Riggs. Rev. Dr. Scott Ickert was an observer from the Lutheran Evangelical Church of America. "This is a bit dicey"
- Recent Tiber swimmer Francis Beckwith commenting on the fact that only local councils and not ecumenical councils "provided an official list of canonical books in the end of the fourth and beginning of the fifth centuries" (Return To Rome, p.135, footnote 11). Do you have a question you've always wanted to ask Michael Horton from the White Horse Inn? Here's your chance, he's going to be on IRON SHARPENS IRON live, Thursday, March 19, 3-4 PM Eastern Standard Time. For details on how to call in, visit the IRON SHARPENS IRON website. The first five callers with a question will receive a free copy of Mike Horton's new book, CHRISTLESS CHRISTIANITY: The Alternative Gospel of the American Church. MIKE HORTON, author and co-host of "THE WHITE HORSE INN", will address the theme of his provocative, controversial new book: "CHRISTLESS CHRISTIANITY: The Alternative Gospel of the American Church". According to the "Christless Christianity" web site: "Christians have always had their differences, but never in church history have there been so many statistics indicating that many Christians today are practicing what can only be described as "Christless Christianity." Michael Horton's analysis of the contemporary church points believers back to the power of a gospel that should never be assumed. The Rev. Dr. Michael S. Horton is the J. Gresham Machen professor of systematic theology at Westminster Seminary California . He is the main host of " The White Horse Inn" radio broadcast and editor-in-chief of Modern Reformation magazine . He received his M.A. from Westminster Seminary California, his Ph.D. from Wycliffe Hall, Oxford and the University of Coventry , and also completed a research fellowship at Yale University Divinity School . Dr. Horton is author of more than 20 books, including Putting Amazing Back Into Grace, A Better Way: Rediscovering the Drama of God-Centered Worship, The Law of Perfect Freedom, Made in America, Where in the World is the Church, We Believe: Recovering the Essentials of the Apostle's Creed, Covenant and Eschatology, Lord and Servant, Covenant and Salvation, People and Place (forthcoming September 2008), God of Promise: Introducing Covenant Theology, Too Good to be True: Finding Hope in a World of Hype and many others (see a list of Dr. Horton's books here). Dr. Horton is a minister in the United Reformed Churches of North America . He has served two churches in southern California and currently resides with his wife, Lisa and four children in Escondido, California. Translation: We have a theological concept without explicit proof, so any verse that sounds remotely close enough to that concept weighs in as affirmative Biblical evidence. Purgatory= "The place or condition in which the souls of the just are purified after death and before they can enter heaven." Fr. John A. Hardon . "It may surprise you to know that the Church makes very few binding statements about what purgatory is. The sections in the Catechism of the Catholic Church are very short. The most important statement is: "All who die in God’s grace and friendship, but still imperfectly purified, are indeed assured of their eternal salvation; but after death they undergo purification, so as to achieve the holiness necessary to enter the joy of heaven" (CCC 1030). "- This Rock, "Is Purgatory Found in the Bible?" Translation: We have enough wiggle room to speculate or further develop this doctrine. That is, you can say almost anything about purgatory and still be in harmony with the Roman Catholic Church. Translation: Understanding the Roman Catholic doctrine of Purgatory will be different in each generation. That is, each generation of Catholic scholars are given the freedom to speculate and interpret purgatory however they'd like to. Translation: The Roman Catholic template of grace didn't match up to all the information presented in the Bible, so purgatory was put forth to try to make it all work. Sola Fide though can account for all the relevant Biblical passages without importing an extra-biblical concept. On a related note, Dr. White reviewed another clip from Jimmy Akin that we've been calling, "We Don't Need No Stinking Bible Verses!" This clip may be my all time favorite from Jimmy Akin. Here is the MP3 clip, Jimmy Akin: We Don't Need a Verse . However, I'd suggest listening to Dr. White's review as well. Over on the Catholic Answers boards a few people (including Protestants) are trying to determine the official position on Luther from a Catholic perspective. A Protestant poster stated, "Oh come, do you think that we are so stupid as to believe that what was declared at Trent wasn't directly put on Luther's head? Give me a break, his very most solid of beliefs were declared upon those who believed them to be anathema. Please." Catholics don't have any unity on Luther, or how to understand the Roman Church's opinion on Luther. For instance, see my papers, The Roman Catholic Perspective of Martin Luther (Part One) and The Roman Catholic Perspective of Martin Luther(Part Two). Exsurge Domine said that the Pope could, "without any further citation or delay, proceed against him to his condemnation and damnation..." Decet Romanum Pontificem spoke of Luther's "depraved and damnable purpose." It called for any of the faithful who were sympathetic to the Lutherans to shun them, so that they "may escape divine vengeance and any degree of participation in their damnation." It further declared concerning Luther and his followers: "...these and the other sentences, censures and punishments... we decree to have fallen on all these men to their damnation." However, the great German Catholic historian from the Universities of Breslau and Bonn, Hubert Jedin held that Catholicism never condemned Luther by name at Trent, and that no official judgment on Luther exists by which a loyal Catholic is bound. I leave it to better minds than mine to determine the navigation through such official statements. I don't normally post videos, but I admit to finding this one very funny. Finding Contexts in Peter F. Wiener's "Martin Luther: Hitler's Spiritual Ancestor"
Some of what you missed concerning Luther and anti-semitism: There was, according to Luther, no good or human quality about the Jews. “What is good in us Christians, they ignore; what is wrong in us Christians the Jews take advantage of.” “The breath of the Jews reeks.” “Their rabbis teach them that theft and robbery is no sin” (W53, 489). There was, according to Luther, no good or human quality about the Jews. 'What is good in us Christians, they ignore; what is wrong in us Christians the Jews take advantage of.' 'The breath of the Jews reeks.' 'Their rabbis teach them that theft and robbery is no sin' (W53, 489). Martin Luther: Hitler's Spiritual Ancestor isn't something new, it first appeared back in 1945. It has been on-line for quite some time as well. I've had it quoted to me by multiple different groups with quite divergent theologies. I've found Roman Catholics citing it as well as independent Baptist groups. In fact, the book (or rather, the extended pamphlet) is still being published by none other than American Atheist Press. Here is a copy published by Marian House, which I'm fairly certain was (or is) a Roman Catholic-run publisher. In the quotes above, Wiener appears to be using the Weimar edition of Luther's Works (Martin Luthers Werke, Kritische Gesamtausgabe). Von den Jüden und jren Lügen is found in WA 53, 412–552, so can one assume all the citations Wiener used above were from On The Jews And Their Lies? With Wiener, one cannot. For instance, the quotes Wiener used are not all found on the page, W53, 489. The English translation of this page is found in LW 47:225. Possibly the only quote used by Wiener in the above statement that actually refers to W53, 489 is the last, "Their rabbis teach them that theft and robbery is no sin." Here is a breakdown of the quotes used by Wiener. "What is good in us Christians, they ignore; what is wrong in us Christians the Jews take advantage of." So perhaps this is the contrast Wiener means when he quotes Luther stating, "What is good in us Christians, they ignore; what is wrong in us Christians the Jews take advantage of." The "wrong" would be a need for funds. This is only speculation, but it does demonstrate that the citations offered by Peter Wiener cannot be trusted. "The breath of the Jews reeks"
You may ask why the Jews make this kind of gloss here. I will tell you. Their breath stinks with lust for the Gentiles’ gold and silver; for no nation under the sun is greedier than they were, still are, and always will be, as is evident from their accursed usury. So they comfort themselves that when the Messiah comes he will take the gold and silver of the whole world and divide it among them. Therefore, wherever they can quote Scripture to satisfy their insatiable greed, they do so outrageously. One is led to believe that God and his prophets knew of nothing else to prophesy than of ways and means to satisfy the bottomless greed of the accursed Jews with the Gentiles’ gold and silver [LW 47:211]. "Their rabbis teach them that theft and robbery is no sin"
By exploring these quotes, I'm in no way agreeing with Luther's views, or giving any sort of credence to his statements. But, I would say that stringing quotes together without contexts with references that are bogus is not the way to address Luther's Antisemitism in a meaningful or helpful way. Peter F. Wiener... triggered a wave of English polemics against Luther. In a pamphlet entitled Martin Luther, Hitler's Spiritual Ancestor, this emigre schoolmaster from Prussia claimed that Luther had said,"I am Christ." Wiener referred to himself as a "true Christian." And for "true Christians," he lectured his readers, "Christianity ... is not a dogma . . . but a moral code which we ought to apply to all our actions and thoughts." Clearly, Luther did not measure up to those lofty standards, as far as Wiener was concerned. Wiener averred: "[Luther] disliked and abhorred reason; he praised and advocated war; he encouraged absolutism,and gave the rulers a power they had never enjoyed before; he insisted on a brutal oppression of the common man, ... he produced a slave-mentality among his followers which even the Roman Catholic church had never forced upon its members; he preached and practiced a violent anti-Semitism and extermination of the Jews which would remain unsurpassed even by Hitler; he was the founder of modern nationalism in its most evil form." Wiener, who also labeled Luther "a supreme upholder of complete dictatorship," belonged to Lord Vansittart's circle of Germanophobes... Vansittart inferred from Luther's alleged abhorrence of reason that being unreasonable must be a quintessential German trait. I must briefly address two charges each of which warrant separate studies: 1. that Luther was "furiously nationalistic" (Mann), indeed, that he was "the founder of modern nationalism in its most evil form (Wiener); 2. that Luther was a "passionate anti-Semite." 1. The nationalism cliche. The necessary relativization is this: Nationalism is a concept that did not exist until 250 years after Luther. 'The moment of birth of modern nationalism," Dietrich Bonhoeffer stressed, came much later; it came with the French Revolution. "Whatever national consciousness existed earlier was essentially dynastic in nature. " Gordon Rupp commented, "We do not wish to deny that Luther was a patriot, and that he was not ashamed to love his country. But to pretend that he made a religion out of nationalism in any way comparable with that of Nazism could be refuted by a hundred facts: if this were even the main truth about his teaching, it could never have converted Finland, or Norway, or penetrated America. " a. The very term, anti-Semitism, implies a racial bias that was foreign to the 16th century. In his criticism of the Catholic prohibition against a Christian marrying a Jew, Luther made clear that he was not in the least bothered with what centuries later would be called "miscegenation" in the United States: "As I am allowed to eat, drink, sleep, go out, ride, speak and do business with a heathen, Jew, Turk or heretic, so I may also marry and remain in that state, and do not worry about the stupid laws that forbid such things. You will find plenty of Christians . . . who in their secret unbelief are worse than any Jew, heathen, Turk or heretic. A heathen is just as much God's good creation as St. Peter, St. Paul, and St. Lucy, not to speak of a slack and spurious Christian. "Nazi anti-Semitism, on the other hand, was a racist prejudice directed at practicing Jews as much as against Christians or agnostics of Jewish descent. b. Luther was theologically anti-Jewish; toward the end of his life he expressed this sentiment in the most objectionable language. But, writes Gordon Rupp, "Luther was a small chapter in the large volume of Christian inhumanities toward the Jewish people. In the beginning Luther hoped great things from preaching the Gospel to them, since he held that there was some excuse for their being repelled by official Catholicism. But when it became clear that there was no hope of this converting them, he turned to polemic. "The cliche labelling Luther an anti-Semite ignores his treatise of 1523, That Jesus Christ was Born a Jew, where he admonishes his fellow Christians: "If the apostles, who were also Jews, had dealt with us Gentiles as we Gentiles deal with the Jews, there would never have been a Christian among the Gentiles. Since they dealt with us Gentiles in such brotherly fashion, we in turn ought to treat the Jews in a brotherly manner in order that we might convert some of them. . . . We should remember that we are but Gentiles, while the Jews are in the lineage of Christ. "Elsewhere in this little volume he writes, "If I had been a Jew and had seen such dolts and blockheads govern and teach the Christian faith, I would sooner have become a hog than a Christian." It is, alas, true that in 1543, shortly before his death, he published his venomous book. On the Jews and Their Lies, a work that was to cause great embarrassment to Lutheran church leaders down the centuries. In it he gave the "sincere advice" to burn down the synagogues, destroy the Jews' homes, take away their prayer books, . . . forbid rabbinic teaching, abolish safe-conduct for Jewish travel, prohibit usury, and force Jews into manual labor. Here I agree with Gordon Rupp: "I confess I am ashamed as I am ashamed of some letters of St. Jerome, some paragraphs in Sir Thomas More, and some chapters in the Book of Revelation, and must say that their authors had not so learned Christ, and that, thank God, this is not the major part of what they had to say." Over on the CARM boards they're having a discussion on the similarities and dissimilarities between praying to deceased Saints and the spiritualist practice of consulting spirits. Other than both practices being wrong, I would not argue against the Catholic practice in such a manner. Dr. White also reviewed this statement from Jimmy Akin on the Dividing Line broadcast a few weeks ago. This program can be found here. O far be from us the dreary thought that death cuts off our friends entirely from us! Far be from us the heartless creed which declares a perpetual divorce between us and the just in heaven! Do not imagine when you lose a father or mother, a tender sister or brother, who die in the peace of Christ, that they are forgetful of you. The love they bore you on earth is purified and intensified in heaven. Or if your innocent child, regenerated in the waters of baptism, is snatched from you by death, be assured that, though separated from you in body, that child is with you in spirit and is repaying you a thousand-fold for the natural life it received from you. Be convinced that the golden link of prayer binds you to that angelic infant, and that it is continually offering its fervent petitions at the throne of God for you, that you may both be reunited in heaven. Gibbons seems to limit those who hear prayers to those in heaven. Akin appears not to. Akin refers to a state in which a dead person is able to pray for you. He could mean, one does not know if they've been released from purgatory, so go ahead and give it shot, they may be. Or, he could mean that somehow, God allows those still in purgatory to hear your prayers and intercede on your behalf since these people are still members of the church. I think Akin means the later, but well, I'm using my fallible interpretation to ascertain the meaning. Akin did though say "sure" in response to being asked if one could pray to someone deceased who is not yet a saint. A telling comparison can be made by consulting the way the Catholic Encyclopedia evaluates the anti-Jewish remarks of Johann Eck and Martin Luther. The Catholic Encyclopedia highly praises Eck: “He was the most distinguished theologian of the time in Germany, the most scholarly and courageous champion of the Catholic Faith. Frank and even in disposition, he was also inspired by a sincere love of truth; but he showed none the less an intense self-consciousness and the jovial bluntness of speech which characterized the men of that day.” Interestingly, the Catholic Encyclopedia makes no mention of Eck’s anti-Jewish writings. I submit that many Roman Catholics evaluate Luther’s anti-Semitism the same way the Catholic Encyclopedia does. The Catholic Encyclopedia fails to document that one of the leading theologians of the sixteenth century was blatantly hostile towards the Jews, but rather characterizes him to be “inspired by a sincere love of truth.” I’ve met many Roman Catholics in discussion who point out that Johann Eck defeated Luther in debate, and was a champion for the Roman Catholic Church. How many of them would dismiss the entirety of Eck’s work because he was blatantly anti-Semitic? 49] “Johann Eck, Vice-Chancellor of the University of Ingoldstadt, by common consent acknowledged as one of the foremost theological scholars of his day, endowed with rare dialectical skill and phenomenal memory…” [Catholic Encyclopedia: Luther entry]. Most of Johann Eck’s writings were in Latin, but some feel that since his anti-Jewish writings were written in German, they were intended for a popular audience. In one of his anti-Jewish works, Eck perpetuates some of the leading anti-Jewish propaganda prevalent in his day, particularly the Jewish ritual murder of children and the taking of their blood. After documenting Eck’s work to substantiate a Jewish ritual murder, Mark U. Edwards notes, “Eck harbors no doubts about the authenticity of this ritual murder… This incredible story is only one of several alleged ritual murders related in the anonymous account and in Eck's treatise. It illustrates well, however, the improbability of the charge of ritual murder, while at the same time it shows that even highly educated men such as Johann Eck firmly believed such libels. Eck's whole treatise, Refutation of a Jew-book in Which a Christian, to the Dishonor of All Christendom Claims That Injustice is Done the Jews in the Accusation That They Murder Christian Children, published a year before Luther's most infamous treatises, is dedicated to proving, in reply to a Lutheran skeptic, that Jews did murder Christian children for their rituals; that they did desecrate the eucharistic host; and that they did do such things as poison wells and bewitch animals and ruin crops. These were the convictions of a scholar, writing in this case for a popular audience” [Mark U Edwards, Luther’s Last Battles, 120]. Carter Lindberg, “Tainted Greatness: Luther’s Attitudes Toward Judaism and Their Historical Reception,” in Nancy A Harrowitz (ed. ), Tainted Greatness: Antisemitism and Cultural Heroes (Philadelphia: Temple University Press, 1994), 17. Joshua Trachtenburg, The Devil and the Jews: The Medieval Conception of the Jew and Its Relation to Modern Anti-Semitism (Philadelphia: ThE Jewish Publication society of America, 1943), 182. Joshua Trachtenburg, The Devil and the Jews: The Medieval Conception of the Jew and Its Relation to Modern Anti-Semitism (Philadelphia: The Jewish Publication society of America, 1943), 93. R. Po-chia Hsia, “Jews as Magicians in Reformation Germany,” in Sander L. Gilman and Steven T. Katz, Anti-Semitism in Times of Crisis (New York: New York University Press, 1991), 119-120. Lewis W. Spitz, The Protestant Reformation (New York: Harper and Row Publishers, 1985), 358.
 . Po-chia Hsia, “Jews as Magicians in Reformation Germany,” in Sander L. Gilman and Steven T. Katz, Anti-Semitism in Times of Crisis (New York: New York University Press, 1991), 124-125. Carter Lindberg, “Tainted Greatness: Luther’s Attitudes Toward Judaism and Their Historical Reception,” in Nancy A Harrowitz (ed. ), Tainted Greatness: Antisemitism and Cultural Heroes (Philadelphia: Temple University Press, 1994), 22. Catholic Encyclopedia, Johann Eck entry. Catholic Encyclopedia, entry on the History of the Jews. Dave, New challenge for you. James Swan posted an article on 3-3-09 where he argues 2 Macc 12 is not a clear reference to Purgatory. http://www.aomin.org/aoblog/inde...php?? You might enjoy refuting his comments, especially because he cites you by name and says you're wrong. Thanks for the info, but I no longer waste time debating anti-Catholic sophists. When I did do so, for 12 years, almost all of them ran every time they faced an opposing argument. For the few who managed to not run, it was all sophistry and obscurantism. That is most unimpressive and irksome, so I have given up. I continue to make my own arguments but I don't bother with theirs anymore, because they never defend them when challenged. One has to understand how to rationally, properly assert and defend arguments.I don't have time for that. I want to dialogue with people who have some semblance of intellectual confidence in their positions. Yes, DA is quite done with any responses to me....so can someone explain why he then went on to post Martin Luther Asserts That Purgatory is "Quite Plain" in 2 Maccabees? In fact, I recall reading this entry soon after it was posted, and then wrote this. I can't recall DA's entry word for word, but I think he lifted a quote from my entry and added it to his, though I could be mistaken. Sure, DA just decided to go looking for Luther's take on 2 Maccabees 12 & purgatory... sure he did. A Catholic apologist actually found an interesting factoid about Luther's opinion of 2 Maccabees 12:46 and purgatory. He found that Luther stated in a letter, "The text in Maccabees is left, and is quite plain." How ironic is this- I point to Catholic scholars who say it is not a plain reference, and this guy points to Luther who says it is! Luther, the man who Catholics say misinterpreted and added words to the Bible comes to the rescue of Catholic apologetics! Well, it is an interesting factoid, and I'll give the Roman Catholic the credit for actually finding something of interest. I'll let you decide if this factoid offsets the fact that the very study bible he wrote inserts for states of 2 Maccabees 12:42-46, "The statement is made here, however, only for the purpose of proving that Judas believed in the resurrection of the just" and "His belief was similar to, but not quite the same as, the Catholic doctrine of purgatory." Here's something related to this point that I've cited previously. In 1521, Luther explains the spurious nature of using 2 Maccabees as a prooftext for Purgatory, while at the same time believing in purgatory. The existence of a purgatory I have never denied. I still hold that it exists, as I have written and admitted﻿﻿ many times, though I have found no way of proving it incontrovertibly from Scripture or reason. I find in Scripture that Christ, Abraham, Jacob, Moses, Job, David, Hezekiah, and some others tasted hell in this life. This I think was purgatory, and it seems not beyond belief that some of the dead suffer in like manner. Tauler﻿﻿ has much to say about it, and, in short, I myself have come to the conclusion that there is a purgatory, but I cannot force anybody else to come to the same result. 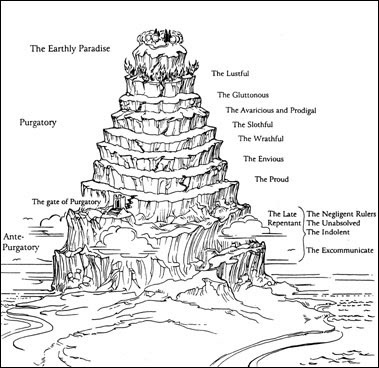 There is only one thing that I have criticized, namely, the way in which my opponents refer to purgatory passages in Scripture which are so inapplicable that it is shameful. For example, they apply Ps. 66[:12], “We went through fire and through water,” though the whole psalm sings of the sufferings of the saints, whom no one places in purgatory. And they quote St. Paul in I Cor. 3[:13–15] when he says of the fire of the last day that it will test the good works, and by it some will be saved because they keep the faith, though their work may suffer loss. They turn this fire also into a purgatory, according to their custom of twisting Scripture and making it mean whatever they want. And similarly they have arbitrarily dragged in the passage in Matt. 12[:32] in which Christ says, “Whoever speaks blasphemy against the Holy Spirit will not be forgiven, either in this world or in the world to come.” Christ means here that he shall never be forgiven, as Mark 3[:29] explains, saying, “Whoever blasphemes against the Holy Spirit never has forgiveness, but is guilty of an eternal sin.” To be sure, even St. Gregory﻿ interprets the passage in Matthew 12 to mean that some sins will be forgiven in the world to come, but St. Mark does not permit such an interpretation, and he counts for more than all the doctors. 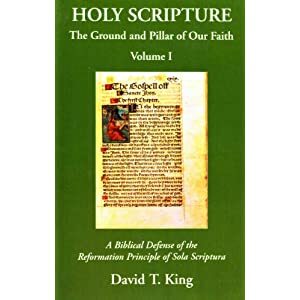 I have discussed all this in order to show that no one is bound to believe more than what is based on Scripture, and those who do not believe in purgatory are not to be called heretics, if otherwise they accept Scripture in its entirety, as the Greek church does. The gospel compels me to believe that St. Peter and St. James are saints, but at the same time it is not necessary to believe that St. Peter is buried in Home and St. James at Compostella﻿﻿ and that their bodies are still there, for Scripture does not report it. Again, there is no sin in holding that none of the saints whom the pope canonizes are saints, and no saint will be offended, for, as a matter of fact, there are many saints in heaven of whom we know nothing, and certainly not that they are saints, yet they are not offended, and do not consider us heretics because we do not know of them. 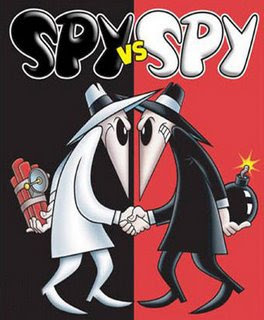 The pope and his partisans play this game only in order to fabricate many wild articles of faith and thus make it possible to silence and suppress the true articles of the Scripture. The New Catholic Answer Bible is an odd mixture of Catholic scholarship and a lack of Catholic scholarship. That is, the actual verse notes appear to have been compiled by educated Catholic scholars. On the other hand, this Bible has colored "inserts" (reminiscent of Watchtower literature) that appear sporadically throughout highlighting a particular Catholic belief. These present the typical popular Catholic apologetics one would find put forth from Catholic Answers. As I noted previously, insert H2 answers the question "Is Purgatory in the Bible?" by stating, "The writer of 2 Maccabees praises the offering of prayers and sacrifices for the dead (see 12:38-46). Why do the departed need such assistance from us? So that their sins 'might be blotted out' (12:42)." The answer tacitly affirms 2 Maccabees 12 teaches purgatory. 12, 42-46: This is the earliest statement of the doctrine that prayers (v 42) and sacrifices (v 43) for the dead are beneficial. The statement is made here, however, only for the purpose of proving that Judas believed in the resurrection of the just (2 Mc 7,9. 14. 23. 36). That is, he believed that expiation could be made for certain sins of otherwise good men- soldiers who had given their lives for God's cause. Thus, they could share in the resurrection. His belief was similar to, but not quite the same as, the Catholic doctrine of purgatory. I think I'm going to start a collection of Catholic commentaries on these verses. I find the range of interpretations quite interesting.